Do you Know How to Search for Black Friday Sales? 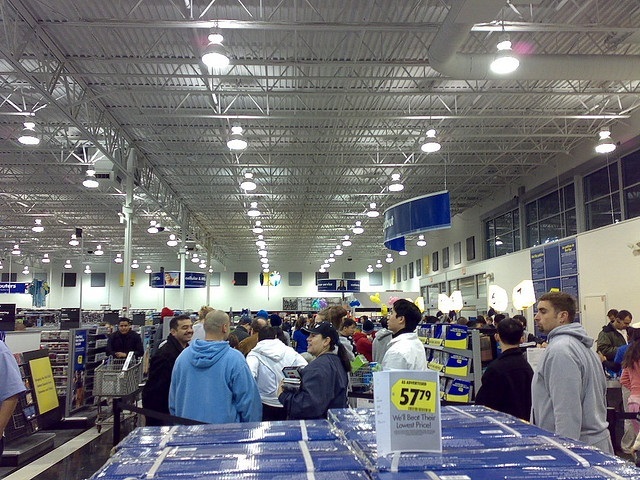 Black Friday 2013 is so close. We need to start preparing right now in order to be able to basically find the best possible deals. This includes both the online deals and the brick and mortar Black Friday sales that will surely be available. Preparation is what will help you out the most and here are the facts that do have to be taken into account at all times. Know The Available Hours For Brick And Mortar Stores! We all saw the movies in which thousands of people entered stores in order to basically take advantage of various Black Friday sales in the past. That unfortunately happens every single year and it is a certainty that this will also be the case. While the first step towards planning a perfect sales experience is finding out all that you can about the deals that are available, when you know the schedules of the stores and the duration of the promotion, you can avoid rush hours. Always try to opt for the large stores are their stocks are always stocked properly. Look At The Large Online Stores! Buying online is always highly recommended because of the fact that you can avoid the shopping mob that appears in brick and mortar stores. The problem is that stocks can disappear quite fast from the smaller stores. If you want to buy from a smaller internet store, make sure that you start buying from the moment that the offer becomes available. When you look at the large online stores like Amazon and Walmart, you can be sure that the sites would not go down because of extra traffic while the stocks are always large enough to accommodate your needs. No matter what you might think at the moment, in order to properly prepare and find those wonderful Black Friday sales, you have to organize all the shopping that you are about to do. For instance, in the event that you want to buy from a couple of brick and mortar locations, plan out the best route between the locations. That would help you out a lot at the end of the day so that you can save time. That is especially true when referring to the deals that only appear during the 24 hours covered by Black Friday. Extra Tip: Do Not Take Advantage Of All Black Friday Sales! This is, unfortunately, something that is really common. There are various situations in which people just buy extra items because of the fact that they see the deals in the stores. This is actually one reason why Black Friday sales appeared since the stores can make more sales. For instance, you might see that a TV set is available at a wonderful price. Because of the great deal, you end up with a new TV set that is not actually a necessity. Too much extra money is spent on Black Friday sales that people do not actually need. Make sure that you do not make the same mistake.